When will be Polar Bear Town next episode air date? Is Polar Bear Town renewed or cancelled? Where to countdown Polar Bear Town air dates? 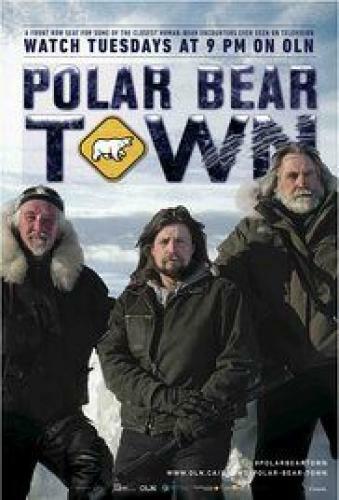 Is Polar Bear Town worth watching? Set in a unique Arctic town with true northern exposure, Polar Bear Town is a half-hour documentary series that provides a front-row seat for some of the closest human-bear encounters ever seen on television.Every fall, 1,000 seal-starved polar bears migrate directly through the frontier town of Churchill, Manitoba. The population explodes from 800 to 10,000 with the arrival of tourists seeking bucket list bear encounters.Armed with nothing but a flare pistol, young gun Kelsey Eliasson guides his clients amongst the majestic bears - driven by passion and passion and adventure, he pushes ever closer, determined to protect both the clients and the bears. His friend and mentor, Dennis Compayre is a bear whisperer whose charm works as well with the bears as it does with the locals. Former hippie lothario, Brian Ladoon may not be a guide, but he operates a roadside attraction where his Eskimo dog kennel attracts curious bears and cash toting tourists. 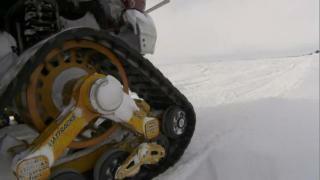 To bolster his business, Dennis plots an epic expedition over impassable tundra to an undiscovered denning site. At an exclusive denning lodge, Kelsey witnesses the rare first steps of newborn cubs emerging from their den. After a large polar bear known as Big Bear kills one of Brian Ladoon's dogs right in town, the community is on edge. Everyone wants this bear found before another victim is claimed. Conservation is on high alert while Dennis and Andrew use night-vision cameras to look for the elusive bear; if they can identify Big Bear's path into town, it could help in catching him and keeping both the bear and the community safe. While locals try to avoid the bears, Kelsey and his crew have found a way to get closer to them – in a rundown cabin on the shores of Button Bay. After a sudden storm means an overnight stay for the group, the dilapidated shack is the only thing between them and waves of migrating polar bears. Summer is coming to an end in Polar Bear Town, and belugas whales are on the move. Now, only the locals and polar bears remain, and there's plenty to do before the onset of fall. Dennis and Andrew are on a treacherous journey to find an uninhabited island where bears and belugas are rumored to be found in abundance. Kelsey and Karine fly to a remote camp on the hunt for bears that have little human contact. Travelling to a remote lodge on the fringes of Hudson Bay to observe these wild bears in their native habitat, they have to be ready for anything when they come face-to-face with a group of these dangerously unpredictable bears, miles from any help. Renowned polar bear scientist Robert Rockwell ventures deep into the heart of polar bear country in search of bear DNA while conservation officers release Big Bear from polar bear jail and helicopter him back into the wild. Finally, as the days grow shorter, a local couple takes to the high seas in hopes of incorporating bears and belugas into their unique wedding ceremony. Polar Bear Town next episode air date provides TVMaze for you. EpisoDate.com is your TV show guide to Countdown Polar Bear Town Episode Air Dates and to stay in touch with Polar Bear Town next episode Air Date and your others favorite TV Shows. Add the shows you like to a "Watchlist" and let the site take it from there.